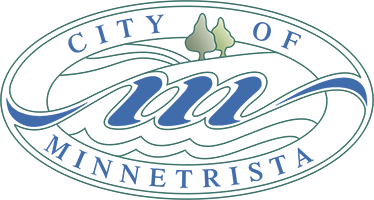 The City of Minnetrista water system provides safe, clean drinking water to approximately 4,000 residents and businesses in Minnetrista. The City's source of drinking water comes from groundwater. Groundwater is the water that soaks into the soil from rain or snow and moves downward to fill cracks and other openings in beds of rock and sand, also known as aquifers. What s a wellhead protection? Wellhead protection is a means of protecting the area surrounding public drinking water supply wells, and in turn, protecting drinking water supplies. As a part of the City's commitment to protect local groundwater and drinking water supplies, we have implemented a Wellhead Protection Plan (WHPP). The goal of the WHPP is to identify and manage potential sources of contamination in areas that supply water to the City's wells. Implementation of the plan includes taking actions to prevent contamination throughout the Wellhead Protection Area (WHPA). 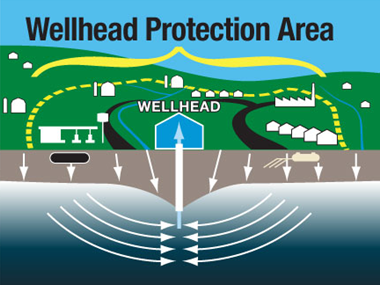 The Wellhead Protection Area is the surface an subsurface surrounding a well that supplies the City's water system, through which contaminants are most likely to move toward and reach the well. What can you do to help? Below you will find links with specific best management practices that we encourage you to take to help prevent drinking water pollution by protecting our groundwater water sources.